Unlike your guitar, you won't need to trail a giant cable across the room to hear that catchy riff. And with the Marshall Bluetooth app, you'll unlock your Marshall Woburn II's full potential. Box contents: Marshall Woburn II Bluetooth Speaker; Power adapter; Quick start guide. New listingMonitor Audio Silver 200 Floorstanding - Single Speaker - BRAND NEW BOXED !! For more info about the speakers go to these 3 links It's in your best interest to check out these details yourself. (Ref-p146). Wir werden Sie bestmöglich beraten. Sehr geehrter Kunde. - Waren der Einfuhr in das Gebiet eines EU-Mitgliedstaates. - Zielland ist entweder ein Land außerhalb der EU oder ein sogen. We issue an invoice of the product in every case. In very good condition, can be tilted to be used as an center speaker. This is the gen 2 m1 speaker. Original box with wall brackets. HIGH DENSITY LINEAR CONVERTER DIRECT DIGITAL SYNC. TESTED AND WORKS. REMOTE IS RM-505. New listingPro-Ject Debut Carbon Turntable With Pro-Ject DAC And Extra Goodies Bundle. Pro-Ject Debut Carbon Turntable. Condition is Used. Comes with Pro-ject DAC box converts analogue to digital input. photo-optical unit. All cables, including phono and optical cables. Power adaptors supplied. This is a super bundle and is in excellent condition. Easy to mount. High quality and durable. Note: The real color of the item may be slightly different from the pictures shown on website caused by many factors such as brightness of your monitor and light brightness. MARSHALL Stanmore II Bluetooth Speaker - Black -. Line up the tunes and enjoy big sound from the Marshall Stanmore II Bluetooth Speaker. Even though it has a compact design, the twin speakers and mighty subwoofer create room-filling sound. Suitable for all listening rooms where an accurate, articulate and high fidelity performance is required, the 9.4 litre rear ported cabinet packs a big punch thanks to its 152 mm (6 inch) mid/bass driver. 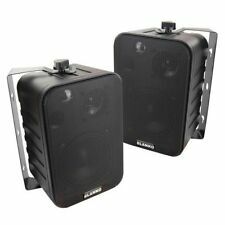 Item Type: Speakers Self-adhesive Feet Pad. Self-adhesive pad so it is easy for you to use. Material: Rubber. Color: Black. Size: 1.6 0.8cm/0.63 0.31in (approx). Due to the difference between different monitors, the picture may not reflect the actual color of the item. New listingVintage Keesonic Kub Speakers "Pair"
Speakersw sound great and are invery good condition. Can I reserve item(s) that I intend to buy later?. Garden & Patio. Includes fixing kit. What is the warranty period on Electromarket products?. When will I receive confirmation of my order?. Accessories for Trussing. With this combination of features, the speakers produce a frequency response of 80 Hz to 20 kHz and 50 watts of total RMS power. This wiring system lets you customize the length of the included 10' speaker wire or use a longer wire. Beoplay A1 Bluetooth Lautsprecher Moss Green. Für drahtlosen Stereoklang können zwei Beoplay A1 Lautsprecher verbunden werden. Der Beoplay A1 ist perfekt geeignet für Musikliebhaber, die großen Wert auf Klang und Design legen. Q Acoustics M4 -. The Q Acoustics M4 features advanced ‘BMR’ (Balanced Mode Radiator) speaker drive units, which produce extraordinarily wide sound dispersion. 2.1 Sounder With Built In Subwoofer B1 GRADE. The Q Acoustics 3010 bookshelf speaker is the smallest speaker in the 3000 range. 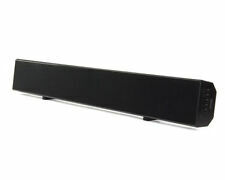 This ensures you can hear the very best of your music throughout your chosen room. An ideal match is the 3090C centre speaker and 3070S subwoofer. A copy of its Original Instruction Manual should be available for you to Download from the Internet if needed. A: All Item Are Very Competitively Priced. Q: How Long Will I Have To Wait For My Order To Arrive ?. 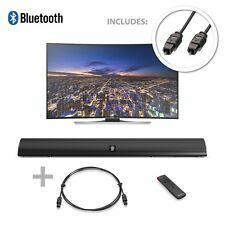 Eingänge: WLAN-Dualband (2,4 GHz und 5 GHz), AirPlay, DLNA (Android/Windows), Bluetooth 4.0 aptX, 3.5 mm Mini-Buchse (analog), USB-Wiedergabe-Eingang, USB-Lade-Ausgang. Computer | Tablet | Netzwerk. Der ZIPP verfügt außerdem über ein intuitives Touch-Bedienfeld, Freisprechfunktion, Streaming und Speicherung von bis zu 5 Internet-Radiosender. Tewo Audio anti-vibration platform. Platform weight 30lb. Colour black matt. Load capacity up to 154lb. SuperCube® 2000. Powerful, visceral bass occupies less than a square foot with the SuperCube® 2000. From explosive impact for movies to exceptional precision for music, the successor to the most successful subwoofer in Definitive Technology history does it all. Das Gerät isttechnisch in einem sehr guten und optisch in einem guten bis sehr guten Zustand. Der neue Laser deutet nicht auf einen Mangel hin, sondern eher auf die begrenzte Lebenserwartung eines CD-Players. Complete Bluetooth ceiling speaker kit. Built in tweeter for clarity. Compatible With Most Bluetooth Devices. Bluetooth Version: 4.0. Speaker Type: 2 Way. East to Fit and Use. Lead Length (m): 3. 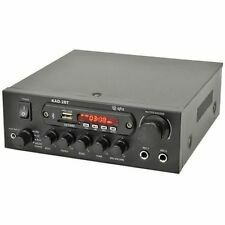 Power Input: 12V d.c. Manufacturer: Quadral. Model: Ascent 650. Frequency response: 30-24,000 Hz. 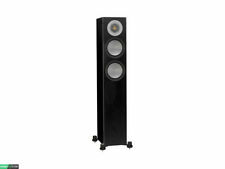 Efficiency: 87 dB/1W / 1 m. Capacity (nominal / Musikb): 120 / 200 W. Midrange driver: 1 x 135 mm ALTIMA. Subwoofer: 1 x 135 mm ALTIMA. The exclusive Linear Travel Suspension (LTS) minimizes distortion for enhanced, detailed performances. When paired with the Tractrix Horn-loaded LTS tweeter, it provides speaker efficiency highest in its class. Marke TEAC. The TN 280BT is not only a great turntable for music lovers who want to enjoy their vinyl records collection or new editions. 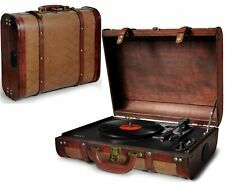 Only Bluetooth speakers or headphones, you might already use for your Smartphone, be required to enjoy the world of vinyl records. 2-Way Ported 120W Speaker. Solid MDF Enclosures with Quality Black Gloss Finish. Frequency Response: 65 Hz–100 kHz. Opening Hours: Mon - Fri / 10:00 am - 4:00 pm. Weight (ea. ).